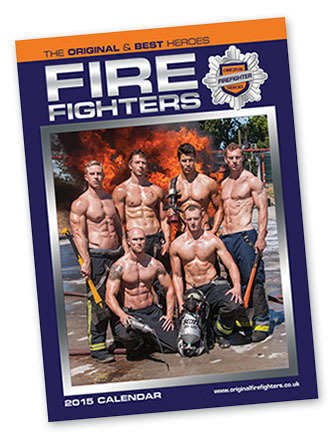 If you want some real firefighter heroes for your own home or office, choose from any of these Original British Firefighters calendars and diary. Any of them will make the perfect gift… if you can bear to part with them yourself! Buy online or look out for a firefighter near you at all good independent and major High Street retailers. No room for a large-format firefighter? No problem – this slim calendar still shows them at their hunky best! but this handy slim hardback diary is ideal for daily use.